Shopping cart software’s are designed to serve as order catalogs for order stores. In most of the cases, shopping carts act as an interface between the stores’ front-end and back-end, where customers can choose products & services. If you are an online shopping lover, then you would be interacting with shopping cart services. With it, you can add items in your cart which you intend to buy and at the time of checkout, you enter your payment details. The kind of flexibility and options you see on the e-commerce site depends on the shopping cart software which the merchant has decided to use. Online shopping cart systems are either parts of a larger e-commerce suite or independent. Irrespective of that, they can easily be connected to third-party apps and systems. If you are planning for a small business, then there are a lot of choices, and the software you pick depends on what features you want for your business. Online shopping cart software can let you track and manage product inventory, maintain a product database, fulfill and ship orders, market to the customer, track sales, use offline channels to sell, maintain a loyalty program, and run a blog. The problem with such a complex system is that it’s difficult to know where to begin or to evaluate them. Two kinds of e-commerce shopping cart software are used: Licensed or SaaS-based. SaaS is a cloud-based shopping cart software. It provides quick to install solutions and requires less maintenance. They are the best shopping cart software for those businesses which have a limited inventory and site needs. But, the costs can easily rise to a point where a company ends up paying several times more than they would have paid for a licensed product. The designers or programmers who opt for SaaS solutions, irrespective of its cost, balance the expenses associated, with an in-house IT person or staff. Companies might have several reasons to buy an installed shopping cart software solution. One of them is not having access to developers, designers and hosting providers; then hosted tools are the best choice. Let’s have a look at various e-commerce shopping cart software to have a better understanding of their features, similarities, and dissimilarities. Highly recommended, has got the best ease of use, customer support, and usage and price. You can visit Shopify for a 30-day free trial. Has got the best ease of use, customer support, and usage and price. This is a paid-for service and is perhaps more lightweight in terms of features than other competing packages. OpenCart has a stylish appearance than others and is easy to use. It’s easy to customize a store built on WordPress which is a free blogging platform that can be used as an easy content management system for running virtually any website. with WooCommerce. Bigcartel is easy to use, and you can get your store up and running within a matter of minutes. osCommerce is a popular platform for e-commerce sites, boasting 12,800 registered sites at the time of writing. Various big brands or retailers used it, like Nespresso and Samsung along with other countless small e-commerce vendors. For those aiming to develop a scalable store or “chain” of online e-commerce properties, Spark Pay is a viable option & for those looking to start their first store. 3dcart isn’t most suitable option for those with looks on a high trafficked store, however, it is particularly useful for those looking to get off the ground, and more than holds its own in terms of features and functionality. 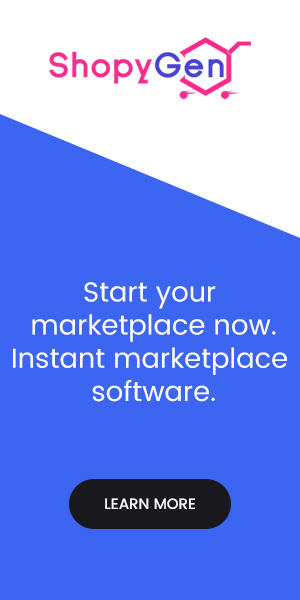 · Strong Multi-App Integration · Wide Range of Payment · Processors The best software for web developers, agencies, and fast growing brands to create beautiful online stores that stand out from the crowd and sell more. Ideal for scaling and technically supporting your business as it grows. Depending on your business need and requirements, you can choose the best shopping cart software from these listed ones. Use the free trial before purchasing: Before buying any shopping cart software for your company, it is advised to try out a few free trial plans offered by popular vendors. You need to test the list of important elements of the software before you decide whether it fits your company requirements and before you invest any money in it. Based on the business: In today’s time, most of the online retailers use shopping cart software to facilitate sales. In case you are planning for an e-commerce website, you need to think about it too. Brands, small business, new business, etc can use e-commerce shopping cart software. Before going further, have a look at the shopping cart software review and understand more clearly about them. It will help you in making your own choice about the shopping cart software. Shopify is one of the best options for beginners and they are the leaders in the e-commerce space, and perhaps the easiest-to-use tool to build your online store with. 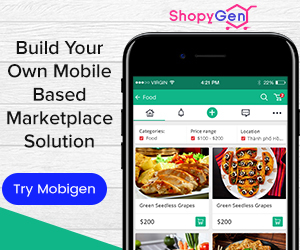 This is user-friendly, easy to grasp platform that enables you to build a high-quality online store (or website) all by yourself and requires no technical ability to do so. This platform is widely used for e-commerce, as it gives the developers easy access to the most stylish ready-made templates. It is a powerful visual website builder in the first instance. Bigcommerce offers a really nice e-commerce store management features (including analytics, order fulfillment, online payments, product management, coupons, etc. ), attractive designs, and other amazing customization features. It is the most heavily used free e-commerce software & used by over 30,000 merchants across the world. Formerly AmeriCommerce is an online e-commerce platform with over 5,000 stores currently selling over 9 million products through the service. Provides e-commerce retailers with the basic tools they need to build a visually attractive store and shopping cart with packages segmented by monthly traffic volumes. 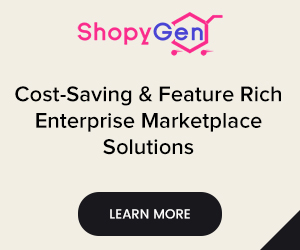 It is a feature-rich e-commerce platform with everything you could possibly need to run an effective e-commerce store just like Shopify and Bigcommerce as the model is similar. This is another wildly popular platform for e-commerce sites, boasting 12,800 registered sites at the time of writing and there are millions of members connected online on the osCommerce community including the developers. It is a popular forum to provide help and support. 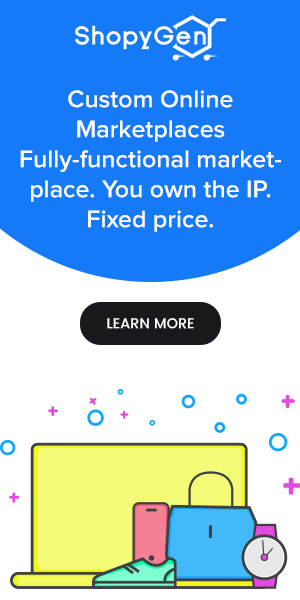 The best platform for creatives like musicians and artists, designed as a platform for them to sell their wares direct to fans and it’s easy to use, and you can get your store up and running within a matter of minutes. A free tool to a certain period that you might want to consider using, professional, scale well, and provide the admin with a host of features including support for over 20 different methods of payment. WooCommerce works with WordPress which is a free blogging platform & is an easy content management system for running virtually any website that makes this platform favorite among e-commerce developers and designers, both as a result of the extensive features available. This is a powerful visual website builder in the first instance & today, it is used more broadly, including for e-commerce. Depending on the shopping cart software comparison and as per your business requirement, you can choose the best shopping cart software. Presently, Genstore is being utilized widely across the world. People, who are aware of it, want to use it only. And those who don’t know about it, here we are providing all the required information about Genstore. Why is GenStore Becoming so Popular? GenStore is another popular e-commerce platform that is widely being used by Facebook, IBM, Google and other top technology companies. It is an open source Node.js commerce platform & a multi-vendor e-commerce marketplace build on MEAN stack (MongoDB, ExpressJs, AngularJs, NodeJs). It has a highly scalable robust e-commerce platform with quality code and detailed documentation. Unique Seller Dashboard: Gives the sellers a separate dashboard to manage their products and orders that manage profile, uploads products and its approval status, order and shipping status from responsive seller dashboard. Dispute Management System: Handles disputes between users and sellers efficiently like PayPal. The system automatically raises the dispute, forward it for a claim and then admin looks into it and provides the best solutions. Robust Admin Panel: Dynamic design for you to manage everything from the back end for its user management, account management, content management. Everything is automated to be dynamic. Revenue Channels: It offers various revenue channels, seller subscription, banner ads, prime delivery options, commission percentage against each sale, and much more to increase your profits. Digital Product: Has two different marketplace niches on single software that gives your sellers the option to sell both physical and digital products, according to the type of product. 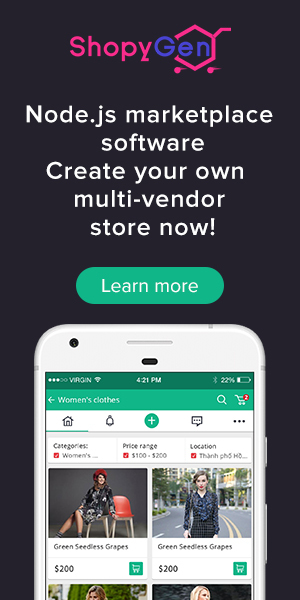 Compatible with iOS & Android App: Helps your users manage everything with just a mobile in hand to search through the collections, making an order, tracking an order all can be done with Android & iOS apps. Anyone can use it to avail all these features and increase their business sales. by a long shot is Shopify. They have the best team, product, and ecosystem of apps. Mainly due to its multipurpose nature, Shopify stands apart from other e-commerce solutions. Shopify requires negligible efforts to set up, hence is quite popular amongst the beginners as well as new entrepreneurs. The tool is very affordable so it’s an attractive choice for small businesses that are just starting out and want to minimize costs. Shopify offers many template designs/structures for you to take advantage of, so you don’t have to hire anyone to help you with the store. 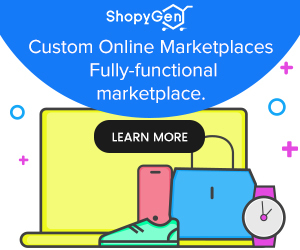 With Shopify, one can also use the offline solutions in which you can use it in your physical store outlet and start using it with your already set business. It scales really well, so it will be able to grow with you regardless of the number of products you have on offer, the volume of your sales, and the number of customers that have bought from you. Access to the store module is also simple. The customization interface provides a range of options neatly displayed one after another where you can just go through them from top to bottom and fine-tune every little detail about the design. For online payments, it allows you to accept credit cards and also conveniently integrated with PayPal through various gateways and even set up Bitcoin payments if you want to go that route. There are also manual payments available, like bank transfers or cash on delivery. Depending on your requirements, budget, and business you can choose the best shopping cart software. The software which is best for one business might not be suitable for other business. So you need to look out the features you are getting and what you require. Match them and then go for the best eCommerce shopping cart software for your business. If you have any doubts or concerns, feel free to drop a line or two in the comments section. We shall reply in a day or two. And yes, we can integrate best Shopify extensions in your eCommerce marketplace platform. Subscribe to our newsletter. Keep watching this space for insights on how to increase eCommerce sales using Genstore. Our best wishes are with you and your eCommerce venture. Cheers!